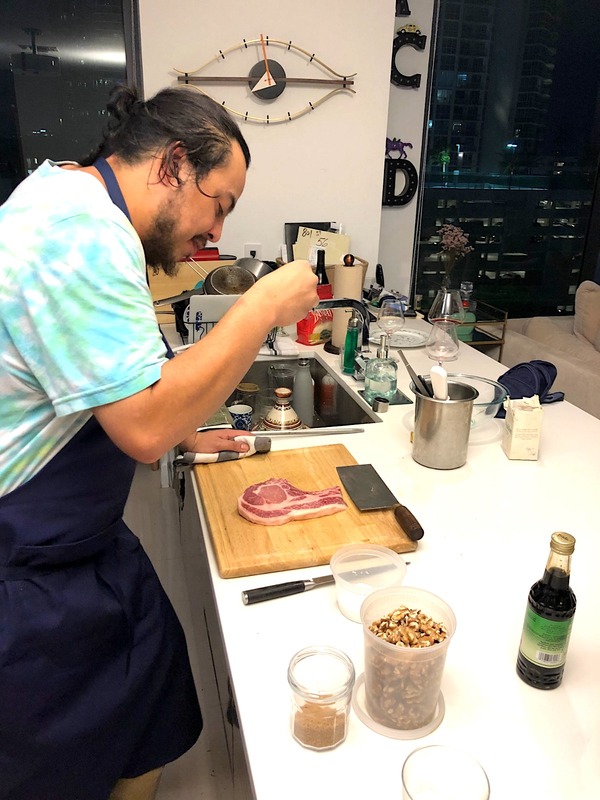 In this episode of House of Knives, Executive Chef Victoriano Hernandez (but you can call him Shaggy) of Fooq’s, a cozy Mediterranean restaurant, located in Downtown Miami is cooking some Fesenjan bone-in Berkshire Pork Thick Ribeye Chop from Wild Fork Foods. Watch the excitement on our IGTV channel as Chef Hernandez, cooks these beautiful porks. Oh and remember, when you’re done, always save a piece for yourself, before serving the rest. 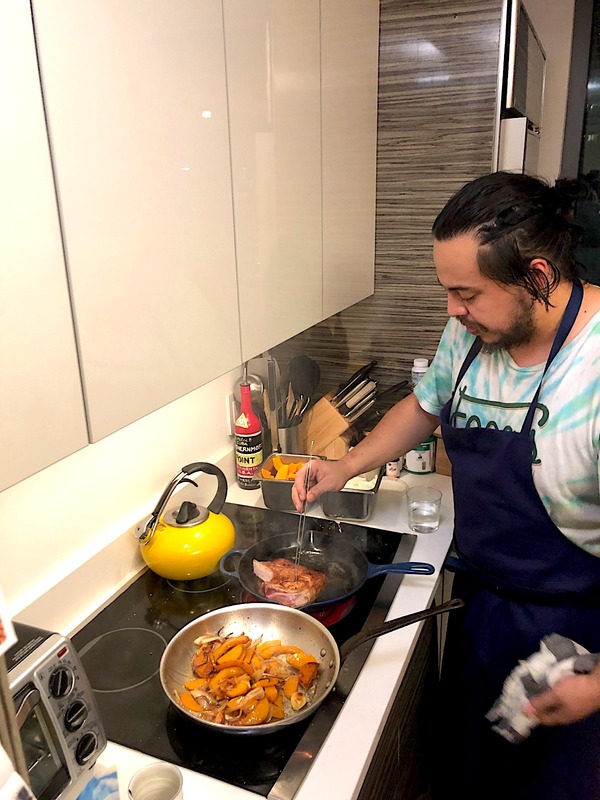 In a hot pan add the butter, onion, butternut squash, and salt to expedite the caramelizing process, deglaze with water once vegetables are nice and golden brown, add brown sugar and walnuts until all vegetables are coated, let it sit on medium heat while you work on the chop. Take the Berkshire pork thick ribeye chop from Wild Fork Foods out of the package and season with salt. On a hot pan start by grilling the fat until it’s caramelized, then set the pork chop and press to release all its juices. Flip and cook until the chop is golden brown on the other side, 2-3 minutes— make sure no pink juices remain. Continue with the Fesenjan melt by taking it off the heat and blending it with all the ingredients. Add pom molasses or substitute, and use water to help reach desired consistency. Remove chop from the heat, cut into slices and prepare for plating. 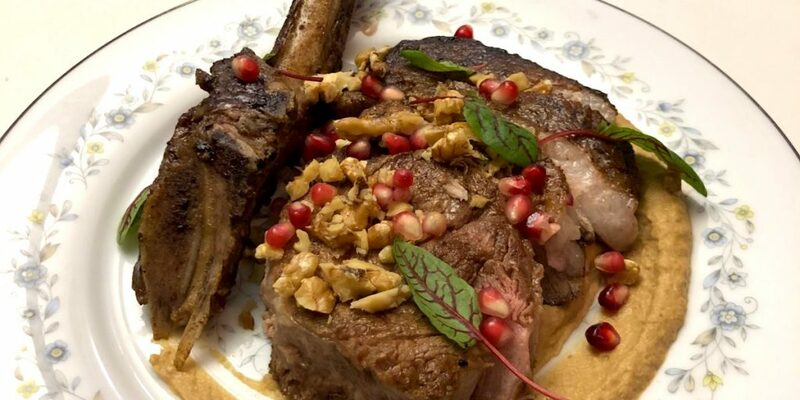 Pour some sauce over your chop and top with walnuts and pomegranate.